The cranberry plant is a perennial evergreen vine that is related to the blueberry. Cranberry vines can produce berries for a very long time; some cultivated cranberry plants in the United States have been producing for more than 100 years. 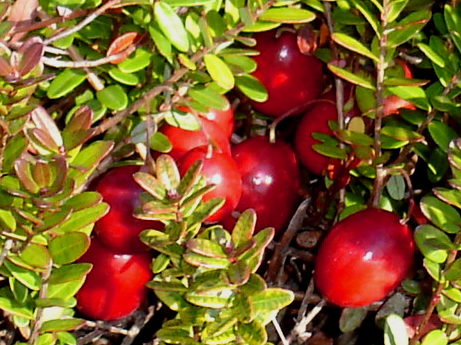 The cranberry is a bog plant and this fruit once grew wild in Eastern Ontario. Bogs fall into the wetland category and play an important role in biodiversity. North American bogs usually occur in low lying areas, where dead and decaying vegetation has gathered to form peat. Up until the early 1900s, the land on which the Upper Canada Cranberries Farm is located was a full-fledged bog, as clearly evidenced by the vast quantities of peat and the acidic soil. However, in the first half of the last century, drainage of the land in this region changed dramatically - partially due to the methods used in other types of farming, but mostly because of the construction of roads and their accompanying deep ditches. As a result, the area now farmed by Upper Canada Cranberries ceased being a bog. In preparing the land for growing cranberries, Upper Canada Cranberries was able to restore most of the bog qualities that existed in this area many years ago. When people learn that the cranberry is a bog plant, this apparently leads some to think cranberries grow in water. 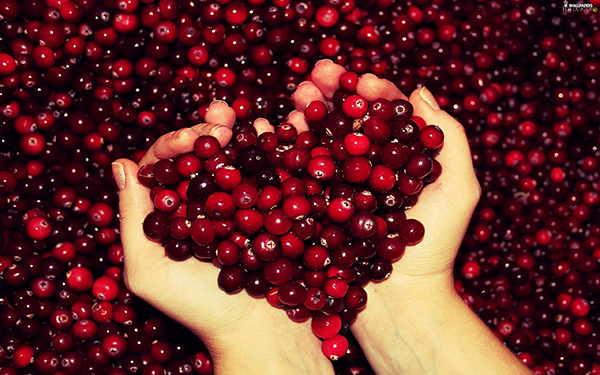 While the successful cultivation of cranberries requires a good supply of water, they do not actually grow in it. In fact, good drainage of the soil is important during the growing season. Water is very important when it comes to growing cranberries. Most types of plants need regular watering and cranberries are no different. But water is also used to flood the bogs from time to time. Bogs are flooded in the fall, so that a layer of ice protects the established cranberry plants from any extreme cold that may occur during the winter months. Cranberry bogs are flooded from time to time during the growing season as well. The crop is flooded in early spring and late fall if a heavy frost is expected. An entire cranberry crop can be lost to what is called a killing frost if the blossoms and young berries are not protected in a bath of water. Toward the end of the growing season, flooding may be necessary to protect the mature berries from frost. Sprinkler systems are used for lighter frosts. Many plants love a good soaking once in a while, so cranberry bogs are flooded occasionally in summer - this also serves as a form of natural pest control. Water is drawn from holding ponds to minimize inpact on the creek. 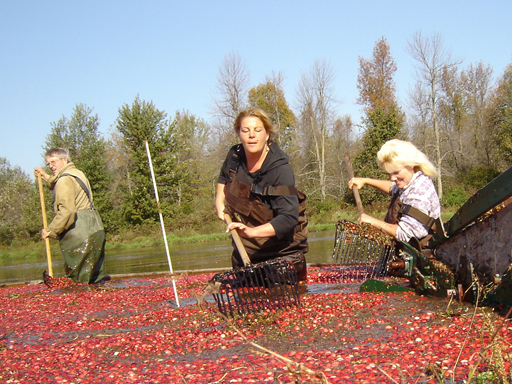 The final flooding of the cranberry growing season occurs at harvest time. Each cranberry bed is covered with water. A special cranberry harvesting machine is driven through the bed to agitate the water and coax the berries off the vines. The machine we use for the cranberry harvest is lightweight and equipped with balloon tires that do not damage the plants. Cranberries float in water, so they rise to the surface. Floating booms are used to coral the berries and draw them to a collection point at the side of the bed. This is the most labour intensive part of the cranberry harvest. The berries are removed from the water, loaded into wagons and taken away to be dried and sorted by hand. Cranberries thrive in a very specific type of acidic peat soil that does not support many other varieties of plant life. To establish a cranberry farm for commercial production a detailed process must be followed. All vegetation is removed from the selected area and pushed to the sides. This vegetation is later used as base material for dykes that surround the future cranberry bog. The purpose of the dykes is to contain water during periods of flooding and for travel between the cranberry beds. At some point during the construction process, ditches and holding ponds for water are dug as well. Piping for irrigation is also installed. The final preparation of the cranberry bog involves spreading a layer of sand on the selected area and then it is ready for planting. Cuttings from mature cranberry plants are pressed into the sand and the area is soaked with water. Regular watering is necessary until the new plants have established themselves. New cranberry plants will begin producing fruit after two years, but it takes an additional two or three years to harvest what would be considered a commercial crop.